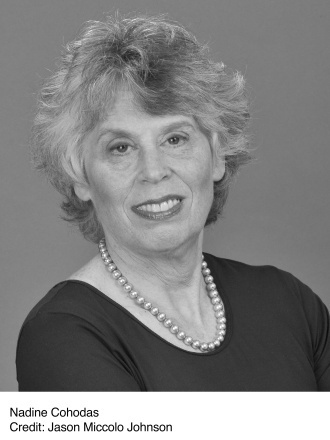 Nadine Cohodas is the author of several books about race, politics and music. 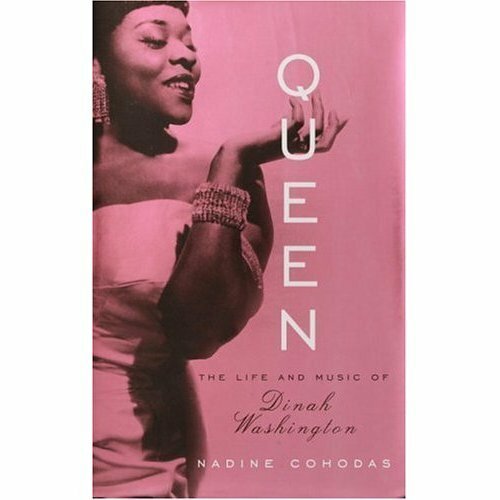 Among her books are: And the Band Played Dixie; Strom Thurmond & The Politics of Southern Change; Spinning Blues Into Gold: The Chess Brothers and the Legendary Chess Records; Queen: The Life and Music of Dinah Washington. 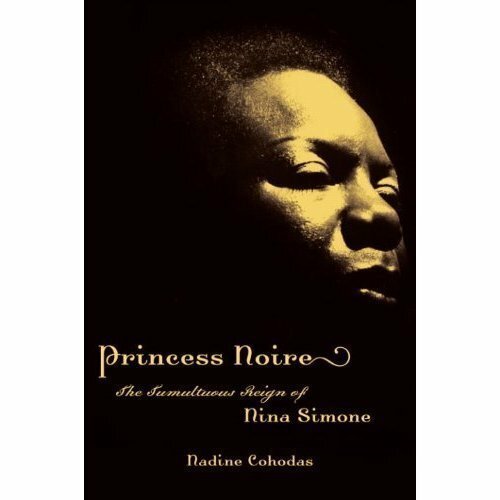 Her most recent book is Princess Noire: The Tumultuous Reign of Nina Simone. She spoke with JT about that book and her other books on music. What was first piece you wrote professionally? I was one of the summer editors at The Michigan Daily at the University of Michigan, so we were paid for that. I was also the editor of my high school newspaper but I cringe a little at that. If I could do it over again with the things I know now, we’d be a little harder hitting, but it was nonetheless a lot of fun, writing headlines and laying out a page. When I got to the University of Michigan campus, I made a beeline for The Michigan Daily office and signed right up. That was just a terrifically important part of my college years. I was two classes behind Danny Okrent, who went on to be the first ombudsman of The New York Times. And Walter Shapiro was in that class and Urban Lehner, who went on to write for The Wall Street Journal. So a number of us went from The Daily to some sort of writing career. I actually wrote a big piece about a local musician in Ann Arbor for The Daily. She just passed away a couple of years ago. Her name was Iris Bell. She came into town with her trio to play at a club called The Rubiyat and she was so popular and really quite wonderful. A great piano player and singer and she ended up staying something like three years and they built a room for her. She was a fixture in Ann Arbor-the Iris Bell Adventure. That was the first piece that I did. Then I did a couple of short reviews as a student for The Daily, but nothing like Neal Gabler’s movie reviews. We were in the same class and that’s where he started reviewing movies for The Daily. And then he went on to write fine books about how the Jews created an empire of their own and created Hollywood, and a book on Walter Winchell and a biography of Walt Disney. But in my later adult life, what really set me on the path to the Chess book [Spinning Blues Into Gold] was writing a piece for the late Blues Access on Tracy Nelson. I had been a fan. I was a couple albums late, but I discovered her 1974 solo album for Atlantic. When I saw the cover, I was in law school and I thought, “I gotta buy this.” And then like everybody else, when I first heard “Down So Low” I sat down at the piano and thumped out those three descending major chords. [sings] “It’s not losing you, that makes me down so low.” And I got to know her after I pitched the story to Leland Rucker who was then the editor of Blues Access. Then came a piece for Living Blues on Irma Thomas. How did you come to start writing books about music? Later I was working on the book about the University of Mississippi, called And The Band Played Dixie, which has music in the title. There was irony there and a bit of history and conflict too about the whole song “Dixie.” It was when I was in a bookstore in Oxford and saw Etta James’ autobiography with this wonderful picture of her. Her hair is short and slicked-back and there’s a fierce look on her face. The title is, of course, A Rage to Survive. I knew her music and I picked it up and it was the way she talked about Leonard and Phil Chess. That’s what made me realize that I wanted to turn my attention to something different and to a different way to look at culture and post-war America, through Leonard and Phil Chess. What do you enjoy most about writing bios? What is at the heart of everything I’ve done, because I’m a nonfiction writer, is the research. You have to love the hunt. And if you don’t love the hunt, then you probably shouldn’t do this. You have to want to try to understand the record and then let that help you craft the narrative. There were delicious moments in writing about the Chess brothers. Among the things that I most proud of is not the later stuff that’s well covered, but when I was able to find the manifest of the ship that brought the family over and what their real last name. And then to find from the Illinois Records Division the records that showed exactly the three businesses that Leonard had, right in a row. And to get a better feel for the Macombo Lounge and finding an ad in a now defunct newspaper for them. That sort of thing. They’re the eureka moments. And the same thing with Dinah Washington. Now with digitization, I felt with the Nina book that it was like shooting fish in a barrel, because you go to the database, you plug in the name and out spits the forty-five articles and twenty-three ads and there you are. But with Dinah, it was going through twenty or twenty-five years of Chicago Defenders and when I came across a picture of little Ruth Jones, fifteen-years-old performing a concert accompanied by her mother, I levitated off my seat at the Chicago Historical Society. We reproduced that picture in the book. There she is with the little cheeks and you clearly know it’s Dinah. How long does it take to do all that research? The Nina book was the most complicated. It took the longest. It was five years total and nearly four of that was solid research. There was so much to try to straighten out and uncover and to craft the narrative. It was not done on a wing and a prayer. Did you travel to Tryon, North Carolina for that research on Nina Simone? Yes, I did. Three times. That was wonderful. I am white and I grew up in a homogenous town in the upper Midwest. And I’ve spent so much of the last fifteen years or so with people very different from whom I grew up with. To have them welcome me into their homes and allow me to try and understand their lives and to talk with me…it’s an extremely enriching and ennobling experience. I would step back and appreciate that, particularly when I did the Ole Miss book and had the chance to talk with people who showed great courage. One of the special moments in my research is when I met James Meredith at a Shoney’s Big Boy off I-55 in Jackson, Mississippi. Here’s somebody who really changed things. You have to be cut from a different cloth. “I don’t care what it takes, as a tax-paying citizen and US Air Force veteran, I am going to go to the University of Mississippi.” It took Federal troops to calm things down because one person wanted to go to the University of Mississippi and had black skin. That’s the special part of these projects. The last three, with the Chess brothers, Dinah Washington and Nina Simone, it’s been really wonderful. Did you get the permission and cooperation from Nina Simone’s family? I spent time with all of her surviving siblings. I did not spend a lot of time with her daughter, Lisa. We had one long conversation. But Lisa is represented in the books by the interviews she gave elsewhere. One appreciates the information that one has. If anybody reads the early parts of the Nina book, when she was still Eunice Waymon, perhaps they will see how much her family contributed to my understanding of what the Waymon family was like and what it was like to come from Tryon, North Carolina. Those revelations about a subject’s roots are very important for a biography. I thought in all of them that you have to know where people started. I went to Tuscaloosa three times [for Dinah Washington book] and many trips to Chicago and talked to her siblings who were younger than she. But going to Tuscaloosa was wonderful. Somebody took me over to Elizabeth’s Baptist where Alice and Ollie, her parents were married. This woman, Deborah, took me under her wing and wanted to take me to the “Sweet Hour of Prayer” one evening at the church to introduce me to people. It was quite wonderful in trying to get one’s arms around what that community was like. To find the old city directory of Tuscaloosa where the black residents were denoted by an asterisk by their names. When I thought I could understand a little more about Ollie and Alice, I went into the courthouse knowing they kept marriage records The woman there was very friendly and she said, “Well, are you looking for the black residents?” And I said, “Yes, I am.” They were kept separately in separate books on the shelf. I took a guess. That was another wonderful moment. I found the page with the marriage license of Alice and Ollie Jones, Dinah’s parents. These are the delicious parts of taking on a project. What drew me to the three projects that I’ve been involved in is the contributions to culture and the music that came out of Chess Records and its various offshoots, and the music that Dinah made and the music that Nina made. That’s all a given. Without that, why would you do all this? Different people speak to different people. I’ve always thought that in Dinah’s case she was a wonderful singer and underappreciated. There was much to discover. People know a bit more about other singers. Billie Holiday is by herself as someone whose afterlife is quite extraordinary. Ella Fitzgerald and Sarah Vaughan cut a little bit deeper swaths, but Dinah was there with them. And in her time was every bit as popular and important, particularly to black Americans as their soundtrack, but Dinah died so young in 1963. There was a huge void. She just dropped off the planet. There wasn’t the notion of mining a catalog that there is today. In fact, Universal in about two months is getting ready to release the first volume of all of her singles for Mercury, with new packaging and new illustrations. I realized that what interested me is the intersection of race and culture. By the time you get to Nina Simone, you have someone whose identity as a black woman is so central to her art. She wasn’t just a woman who happened to be black and sang songs. She did some of the same songs other people did-ballads, blues and standards-but how she presented herself and the unmistakable pride, and also the anger at the condition of her people was central to her music in a way that was different from the others. I thought this would be something compelling to understand and chronicle. What did you learn about Nina that you didn’t know coming in? What was the biggest surprise or revelation? I don’t know that I could pin it down to one thing. Overall, I did not fully understand, will all this talent and with all the moments of great success, the extraordinary stress and the depth of the anger that could surface. That perhaps was the biggest surprise. Yet, through it all, came this music. Though, I stopped being surprised from working on the Chess book. One’s popularity as a live performer and one’s position in our culture in terms of recognition are not the same as record sales. People get surprised by that. Muddy Waters had very few hits. The big money came from the songwriting royalties, when the Rolling Stones discovered him. With Nina, “I Loves You Porgy” was really the biggest thing. That doesn’t mean she wasn’t a presence culturally. It’s just that that doesn’t always match sales and folks have a hard time understanding that. Often in biographies, candid discussion of the subject’s true financial situation is avoided, yet it can be such an important factor in their life. Throughout her life, that was the thing that angered and pained Nina deeply, that she didn’t feel she got her recompense. That in part goes back to what I was saying-that her sales were not commensurate with what she maybe thought her popularity was. Then in her case because of problems with IRS, which were not entirely her fault. That’s the other complicating factor. So many people, and it’s not unique to Nina, who are creative assume that somebody else is taking care of their business, but they’re not. And you do not want to tangle with the IRS. Dinah had tax problems too. I’m a non-practicing lawyer and one good thing about that is I can find my way around a courthouse and court system. And within five days of the first request, God bless the Federal Court archives, they shipped me the record of Nina’s tax case from 1978 and it was the supporting document that helped me weave the narrative. That’s how I know the clinic she was at in Switzerland, the bills she didn’t pay, what she bought. Not that all of that was in the book, but it helped me to understand her and also to know what her income was. Not that she saw all of it. Toward the end of her life, when she hired the lawyer, Steven Ames Brown, whose specialty is royalty recovery, those documents are recoverable. They’re public documents. That’s one of the great things about this country that we do have access to things that happen in public forums. These are public documents. There’s a lawsuit filed. There’s a decision. At the end of her life, a nice stream of income came in so she could live comfortably in her house in France. 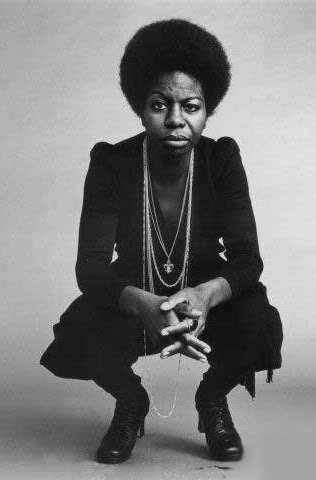 Nina Simone was a very provocative and profane figure. Was there material you left on the cutting room floor, so to speak? Yes, I did not write about every concert. I did not write about every meltdown on stage. You always want to know everything, so that you can pick and choose. There was a lot. Nina got mad at a lot of people a lot of times, God bless her. I tried to pick stories that I thought moved the narrative forward and told the story that I wanted to try to tell. I think at the very end to leave you with the notion that this woman created something that affected people deeply. She entertained, she provoked and she angered. And that is compelling and lives on. We’re still talking about her. 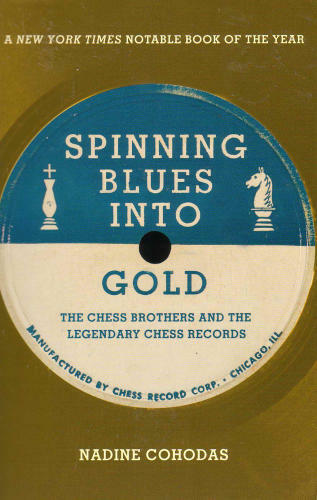 There were two films made about the Chess brothers. Have you had interest in either the Dinah or Nina book for an option on a film? Sherry Shepard has an option on the Dinah book. I had known about the Mary J. Blige project on Nina. That project has been floating around for at least five years. Good luck to them. I write my books to write my books. I didn’t write them for movies to be made. What biographies do you love personally? Which ones do you re-read? Certainly Peter Guralnick’s books on Elvis Presley and Sam Cooke. Peter was very generous and we had many many conversations. Peter read the Dinah manuscript and the Nina manuscript as it was going along. I haven’t gone through Taylor Branch’s third and final book in the Martin Luther King series, but Parting the Waters and Killing the Fire were certainly compelling. I thought that Michael Lydon wrote a lovely book about Ray Charles-Ray Charles, Man & Music. I’ll have to say that in the process in writing one’s own book, I’m just now winding down and was pretty focused on reading the things I needed to read. It’s always good to read someone who can craft a sentence and to see how that person told a story. I don’t know. I don’t have a next right now. I’m pretty sure that Nina is it for me. I don’t see another book. Really. Sometimes it’s time to shift gears. I’ve had the good fortune to get five books out the door in twenty years. I think that if Nina were here, she would chuckle when I say, “Nina finished me.” She would think that was entirely appropriate. She won. I hope that’s not true, but I understand the toll a book can take on its author. You have to care. You have to get right in there. You have to commit. I’m not an essayist, like Nat Hentoff who is a singular individual and he cuts across music and First Amendment issues. He’s a commentator as well as someone who might do some research. In my case, I felt that I was living with these folks day to day and that the only way to tell the story was to try to be in the moment, even when I knew what was coming. It was particularly hard when I knew Dinah was going to die. And then having the chance to talk with her son, Robert, when he recalled coming home from school and waking up in the middle of the night and seeing his mother slumped on the floor in the hallway. And him just knowing when “Night Train” came out and they said she’s gone, that he said, “I already knew.” He knew in some intuitive way and he was only fourteen years old. You have to let that moment spin out. That’s interesting because that was one of Neal Gabler’s comments about writing the Walt Disney biography-the importance of staying in the moment with the subject. I remember talking with David Maraniss [author of several notable biographies and non-fiction books, including When Pride Still Mattered about Green Bay Packers coach Vince Lombardi]. I grew up 25 miles north of Green Bay and Lambeau Field and was fortunate enough to see 30-40 home games of the Packers and those are wonderful memories. When I was talking with David and I had just finished the Dinah book and he said he remembered feeling sad when Vince Lombardi had to die. You have be in the moment with your subject.